DeKalb's A.J. 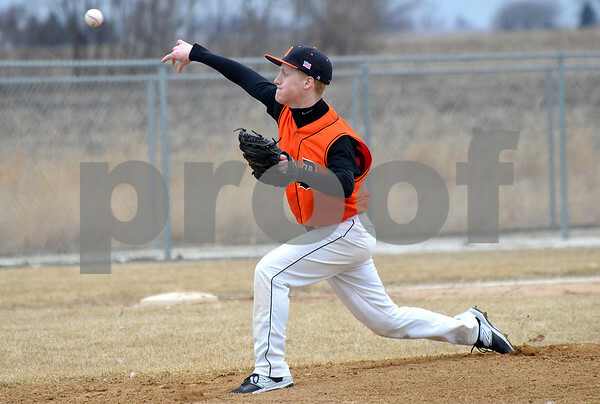 Hop pitches in the first inning against Elgin at DeKalb High School on Thursday, March 19, 2015. DeKalb beat Elgin, 6-4.